Cannabinoids, the active components of Cannabis sativa L., act in the body by mimicking endogenous substances — the endocannabinoids — that activate specific cell surface receptors. Cannabinoids exert various palliative effects in cancer patients. In addition, cannabinoids inhibit the growth of different types of tumor cells, including glioma cells, in laboratory animals. They do so by modulating key cell signaling pathways, mostly the endoplasmic reticulum stress response, thereby inducing antitumoral actions such as the apoptotic death of tumor cells and the inhibition of tumor angiogenesis. 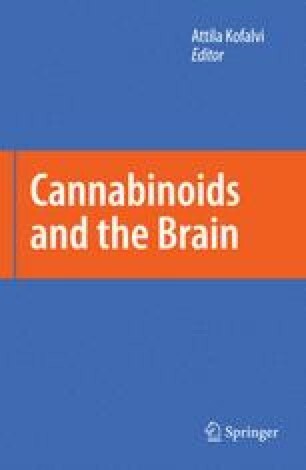 Of interest, cannabinoids seem to be selective antitumoral compounds as they kill glioma cells but not their nontransformed astroglial counterparts. On the basis of these preclinical findings, a pilot clinical study of Δ9-tetrahydrocannabinol (Δ9-THC) in patients with recurrent glioblastoma multiforme has been recently run. The fair safety profile of Δ9-THC, together with its possible growth-inhibiting action on tumor cells, may set the basis for future trials aimed at evaluating the potential antitumoral activity of cannabinoids.